Enjoy a stay of pure scenery in the heart of the Champsaur Valley, at the gates of the Ecrins National Park. Sandra and Gilles welcome you in their trailer all comfort with independent access. 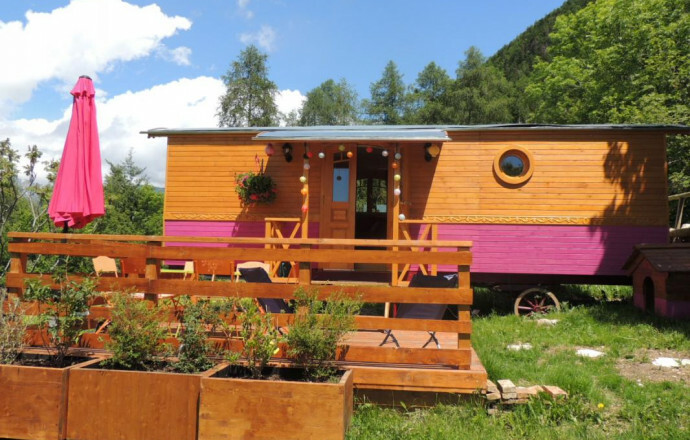 This trailer is located in a small hamlet, the Forests in 2 km from St-Léger-les-Mélèzes, and ski slopes. 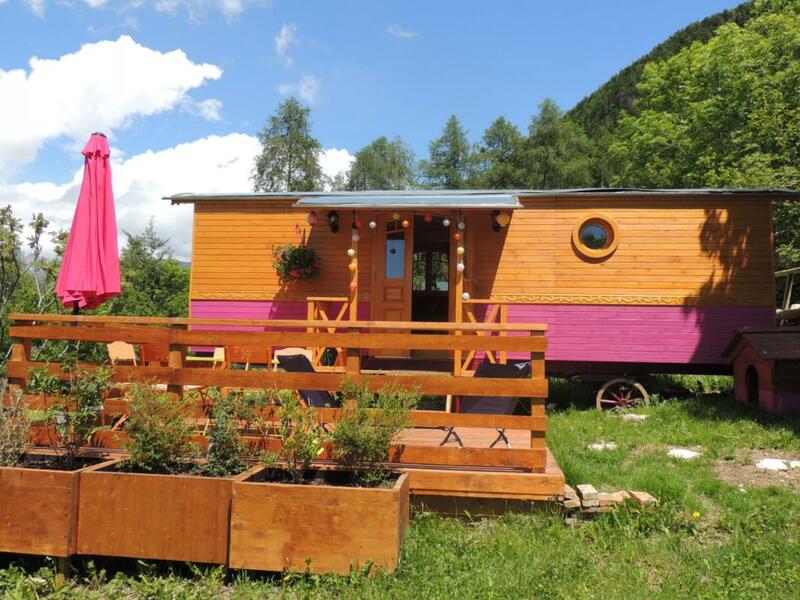 Beautiful trailer wood (4-5 beds) comfort (TV, Wi - Fi, microwave, shower - wc, kitchenette...). A sleeping area with a bed for 2 pers, an area with 2 beds 1 pers. bunk. Adjacent to a small Shack wooden 6 m² for storage (skis, sledges, bicycles...). 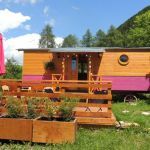 Installed on a field surrounded by greenery of 250 m² with terrace overlooking the surrounding mountains.